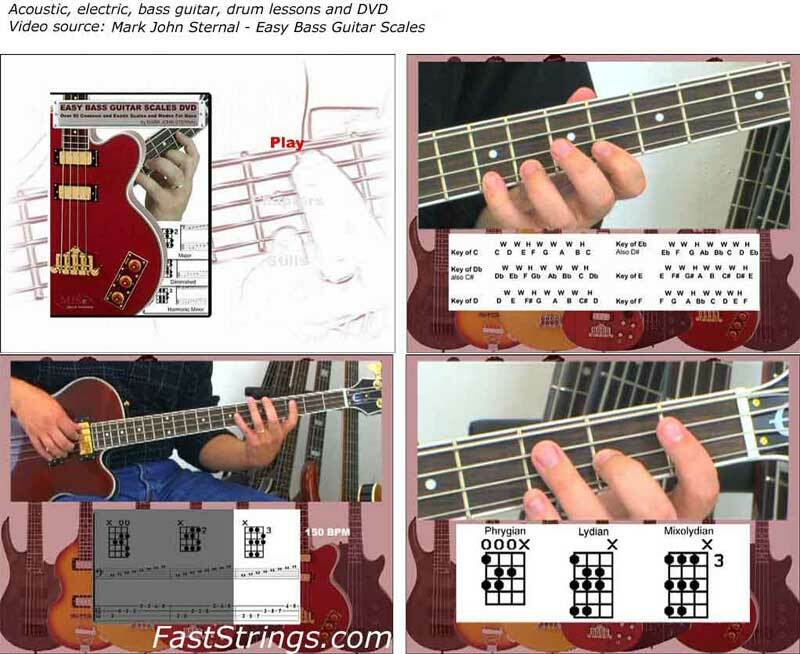 MJS – Easy Bass Guitar Scales – Over 50 Common and Exotic Scales and Modes. This course has every bass guitar scale you’ve ever wanted to learn! Presented in a simple root to octave format, starting with basic scales such as major, minor, pentatonic and blues. Next learn the patterns spanning all musical styles and cultures with exotic scales like the Balinese, Hirojoshi and Kumoi. There are over 50 scales for you to use to spice up your bass playing! Each scale is presented with a video demonstration at a slow and fast tempo. The bottom half of the screen gives you the option of using sheet music in the form of note charts, traditional notation or tablature (TAB). This DVD couldn’t get any easier! Step by step in slow and clear direction and then speed-ed up to get the full effect. This covers the basic yet very important part of becoming a 360 bassist. Great DVD to have in your repertoire of learning and practice material. This is a friendly dvd for beginners out there. You don’t have to know how to read music since tabs are shown. All scales are repeated at a slow pace which makes it easy to learn. The instructor does a wonderful job of simplifying the content. This should go under – so easy even a baby can do it. A must-have for bassists – thanks admins. !